Avengers: Infinity War ends with one of the grandest, bleakest setpieces in Marvel movie history—directly inspired by a moment right out of the comics. But that wasn’t always the case, according to the movie’s screenwriters. In fact, fans could’ve been kept waiting until Avengers 4 to see Thanos’ grand plan unfold. As what feels like a majority of the planet is aware of at this point (if you’re not, again, why are you reading below the spoiler warning, shoo! 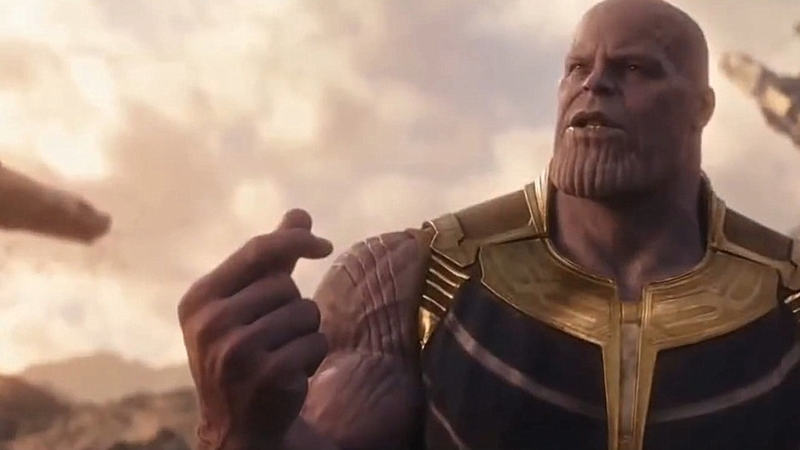 ), Avengers: Infinity War concludes with Thanos, having gathered all six Infinity Stones, snapping the snap heard ‘round the world, eradicating half of all life on Earth and in the cosmos at large in a single gesture. The snappening, the snapture, whatever snap-based pun you choose to call it, is destruction on a scale untold in prior Marvel films, and not even our beloved heroes are saved from its dusty wrath. It’s also the culmination of Thanos’ journey throughout the film, a bleak yet important step for his character. But what we realized is, it would feel more like a cliffhanger than we intended. [If the Snap was in Avengers 4, Infinity War] would be a continuation of exactly what you were watching before. [It should] be as big as it wants to be, and as sprawling. While there’s been some rumors, we really don’t know just where Avengers 4 will go, but that’s a lot better than having to have to see the build-up to and fallout of Thanos’ snap occurring in a single movie. As painful as a year of waiting to see the follow up is!